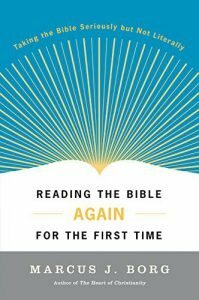 Note: This series is based on the book Reading the Bible Again For the First Time: Taking the Bible Seriously But Not Literally, by Marcus Borg. As we near the conclusion of our series on how we read the collection of ancient writings that make up our Bibles, we turn now to the letters attributed to Paul. It may be surprising to know that Paul’s letters are our earliest Christian writings, with the letter we know as 1 Thessalonians written around 50 CE. Pastor Christopher brings our message this Sunday, focusing on an understanding of the historical Paul and his experience of God’s call to bring the message of Jesus to the Gentiles. In the same way that a Pharisee named Saul had a transformative experience of the living God, we too are invited into the divine presence of ultimate love. Like the whole of our sacred texts, Paul’s letters point us to an experience of God. 1“Brothers and fathers, listen now to my defense.” 2When they heard him address them in Aramaic, they became even more quiet. 3Paul continued, “I’m a Jew, born in Tarsus in Cilicia but raised in this city. Under Gamaliel’s instruction, I was trained in the strict interpretation of our ancestral Law. I am passionately loyal to God, just like you who are gathered here today. 4I harassed those who followed this Way to their death, arresting and delivering both men and women into prison. 5The high priest and the whole Jerusalem Council can testify about me. I received letters from them, addressed to our associates in Damascus, then went there to bring those who were arrested to Jerusalem so they could be punished. 6“During that journey, about noon, as I approached Damascus, suddenly a bright light from heaven encircled me. 7I fell to the ground and heard a voice asking me, ‘Saul, Saul, why are you harassing me?’ 8I answered, ‘Who are you, Lord?’ ‘I am Jesus the Nazarene, whom you are harassing,’ he replied. 9My traveling companions saw the light, but they didn’t hear the voice of the one who spoke to me. 10I asked, ‘What should I do, Lord?’ ‘Get up,’ the Lord replied, ‘and go into Damascus. There you will be told everything you have been appointed to do.’ 11I couldn’t see because of the brightness of that light, so my companions led me by the hand into Damascus. Did you find the claim about Paul’s letters being our earliest Christian texts surprising? If so, what did you think was written first? How does this information change your understanding of the New Testament? Christians seem to have a wide variety of opinions about Paul. What are your thoughts? Why? How do you think Paul’s history as a Pharisee helped or hindered his ability to connect with early Christian Jews? With Gentiles? Pastor Christopher’s message on Sunday helps to remind us that the letters attributed to Paul are not necessarily written to us, to 21st-century Christians today. Indeed, most of these letters include an introduction telling us to whom they are written. And so it is important for us to recognize that we are reading correspondence that had a specific audience and was written for a unique context. Indeed, Paul reminds us of how conscientious he is about exactly this in 1 Corinthians 9:19-23. Further, we must remember that the letters attributed to Paul are only half of the conversation! Even so, Pastor Christopher helps us to understand that we can see the core of Paul’s message from these letters in the way that we read the arc of the overall writings, always looking through the lens of the love of Jesus Christ. Academic study generally agrees that only these books were written by the Apostle Paul himself: 1 Thessalonians, Galatians, 1 & 2 Corinthians, Philemon, Philippians, and Romans (note: Ephesians, Colossians, and 2 Thessalonians may have been written by Paul, but there is significant dispute). The rest were likely written by students of Paul. How does this affect your reading of these listed letters specifically, and of the whole of the letters previously attributed to Paul? What do you think about the suggestion that Paul crafted his letters to his specific contexts? How does that help you understand his writings? How then to you discern between Paul’s broader theological instruction and his contextual instruction?